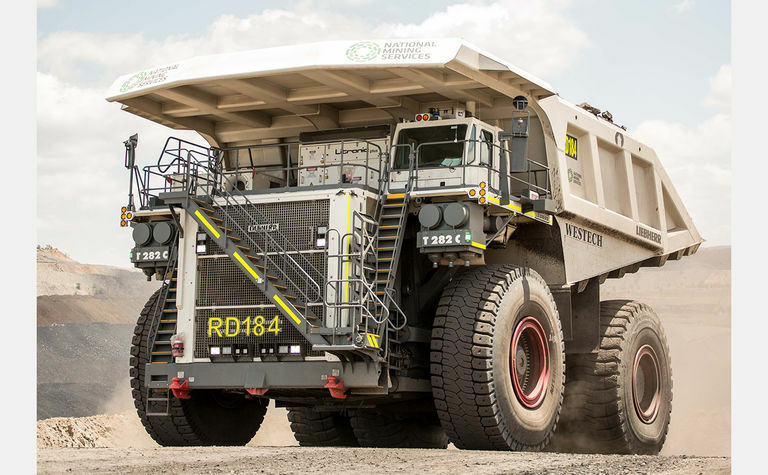 National Group have been a part of history in more ways than one this past month, recently handing over five of the world's second largest mining trucks to BHP, and the last of these to be the final T 282 C to come down under to Australia with Liebherr now producing a slightly different model in the T 284. Managing Director of the National Group, Mark Ackroyd, was one of those who made the trip up to North Queensland. "I'm very proud of the process and the journey that we have had with these trucks" said Mark Ackroyd. 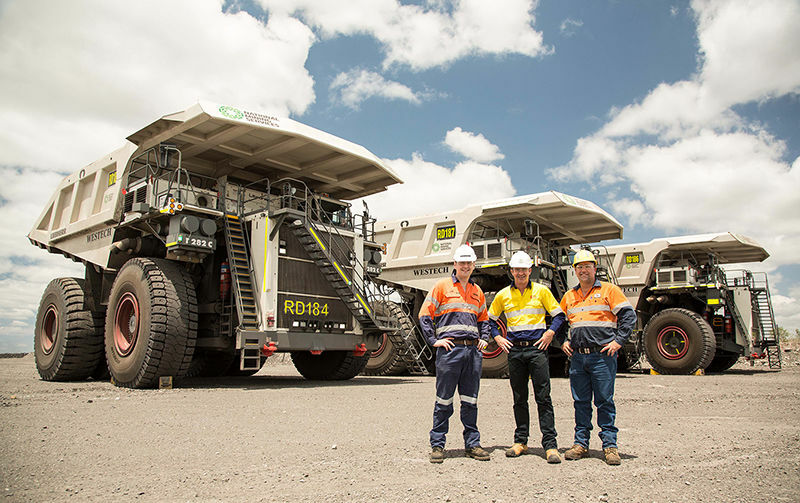 "I know BHP run a large fleet of 282's on-site here at Peak Downs and they have been a success story against the competition so we are pleased to be adding another five to their fleet". 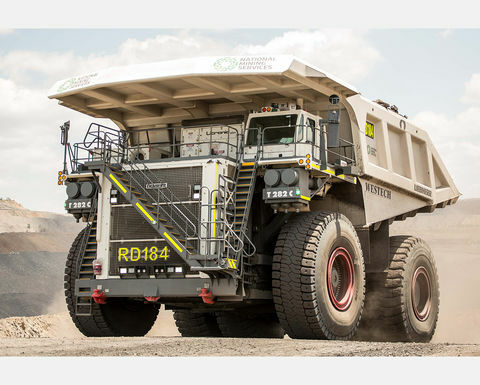 "The Liebherr T 282 C is the largest Ultra-Class Haul truck in Australia today and it's actually quite poetic that the last of these T 282 C's will go to the same company (BHP) that bought the first from us many years ago". "As for National Group, the journey with them from the first time they set foot in our office to the units sitting behind me has been very quick. We knew straight away that they were a serious operator and that their relationship focus was second to none, and so the journey from first encounter to delivery to BHP was smooth. They are our ideal customer, we enjoy doing business with the National Group and we see a very long and healthy future with them" Tom said. Handing over the keys to BHP concludes a very successful project for the entire National Group team. From the new units being shipped out of Liebherr's manufacturing facility in Virginia, USA, to National Heavy Haulage (a part of the National Group of companies) transporting the trucks from Mackay to Peak downs (WATCH THE HAUL), and then finally to National Group's - National Mining Services team assembling them on-site, everything went off without a hitch. With a fleet of over 250 now, most of which are classed as ‘Ultra-Class' large heavy earthmoving equipment (HME), National Group is continuing to gain momentum by adding one piece of HME each week. When asked about the momentum building, Managing Director, Mark Ackroyd summed it up quite simply by saying "Here at National Group, we are just really excited for the future so stay tuned for what's to come". To view more news from the National Group, go to www.national-group.co/news.